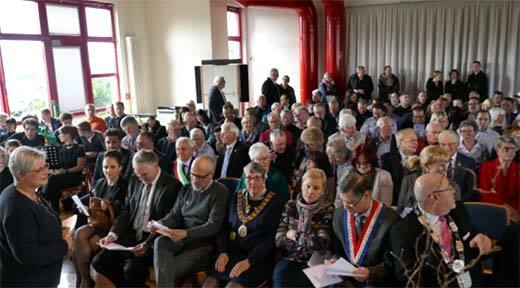 A small delegation from Hebden Royd Town Council and the Hebden Bridge Twinning Society (HBTS) were invited by our twin towns Warstein (Germany) and St Pol-sur-Ternoise (France) to the initial celebration of their 55 years of twinning, which took place in Warstein from the 6th to the 7th April 2019. We all stayed with families in Warstein and enjoyed relaxing with them, as well as taking part in the heartfelt ceremonies of remembrance and reaffirmation of the bonds of friendship between all our towns. 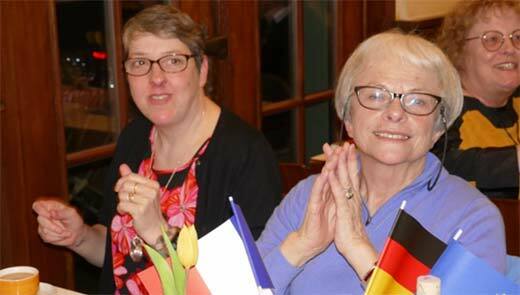 The programme for the weekend was a perfect combination of the serious and the more informal aspects of town twinning. New friends were made as well as old friends re-visited. 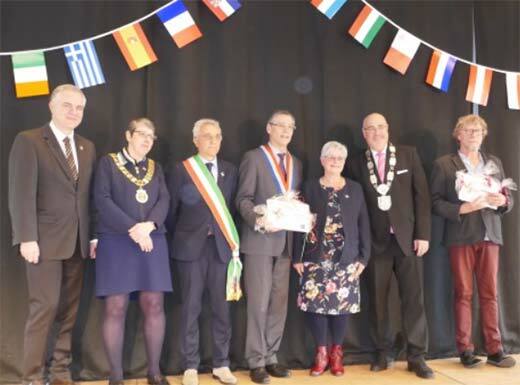 It reminded us of course that between now and 2021 Hebden Royd will be celebrating 40 years of twinning with St Pol-sur-Ternoise and 25 with Warstein!